Ever heard of apple carving? I suppose just about everybody has carved pumpkins at one time or another but what about apple carving? I have to admit – I had no idea this was a thing. 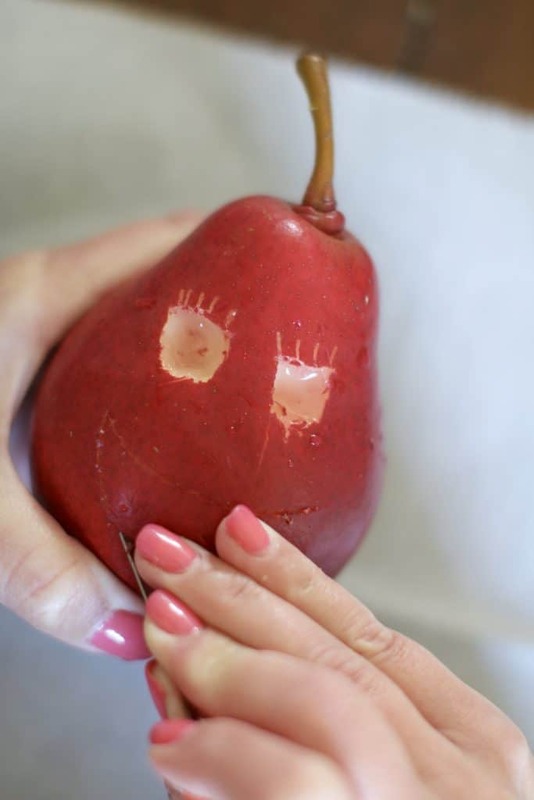 Until I went to Pinterest…holy apple-carving Batman! Wow! There are some really talented folks out there. Psst: Don’t miss the $50 Visa Gift Card Giveaway below! We’re celebrating fall, y’all! 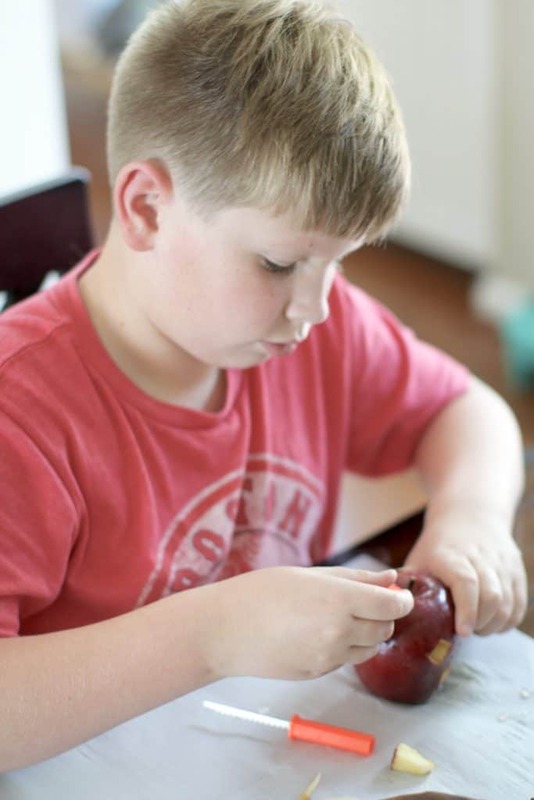 Using apples makes it a lot easier to hold and to carve. 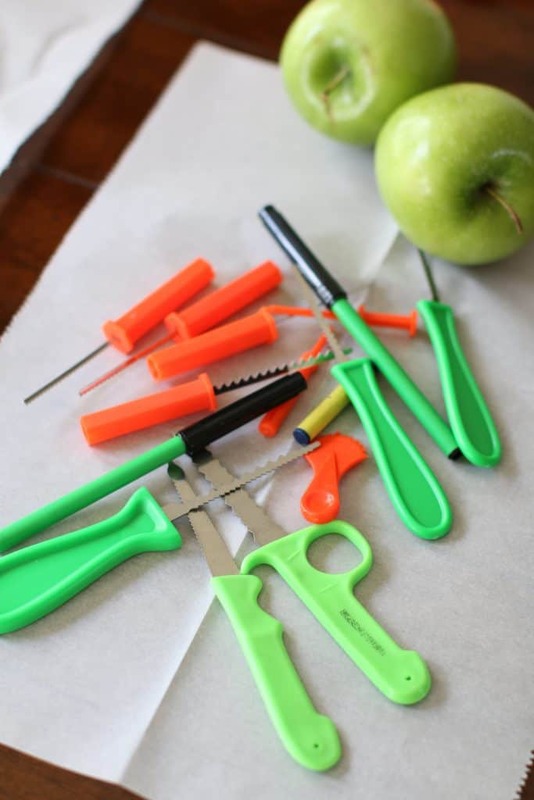 We used pumpkin carving tools since they are much safer to use than knives. Apple skin is really soft so you could even use plastic knives or spoons. 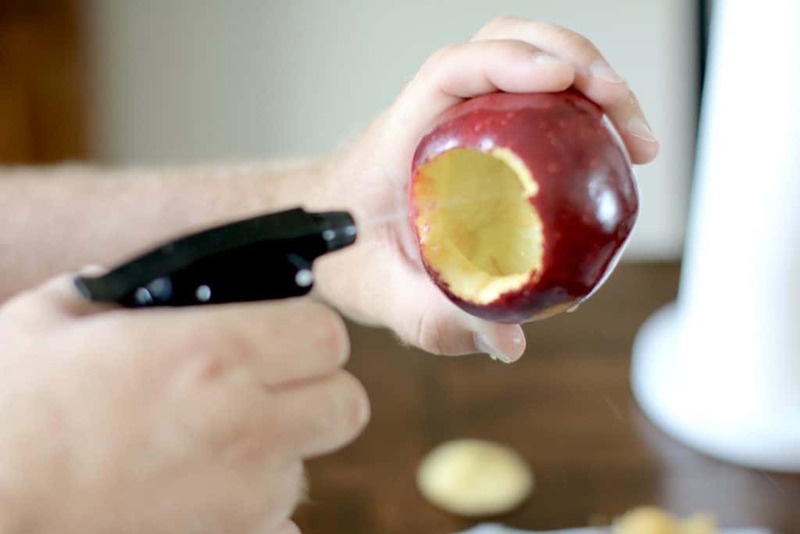 Plus, you can totally eat the apple that you discard as you carve. Ha! 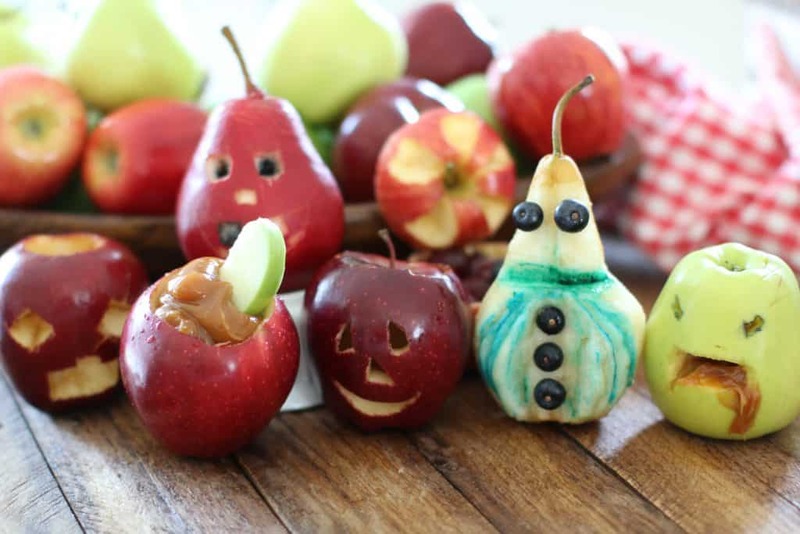 Grab some food-safe markers and you can add color to your carvings! This was such a fun activity for my family to try. We are no Michaelangelo’s but it was such an easy, breezy and affordable activity. 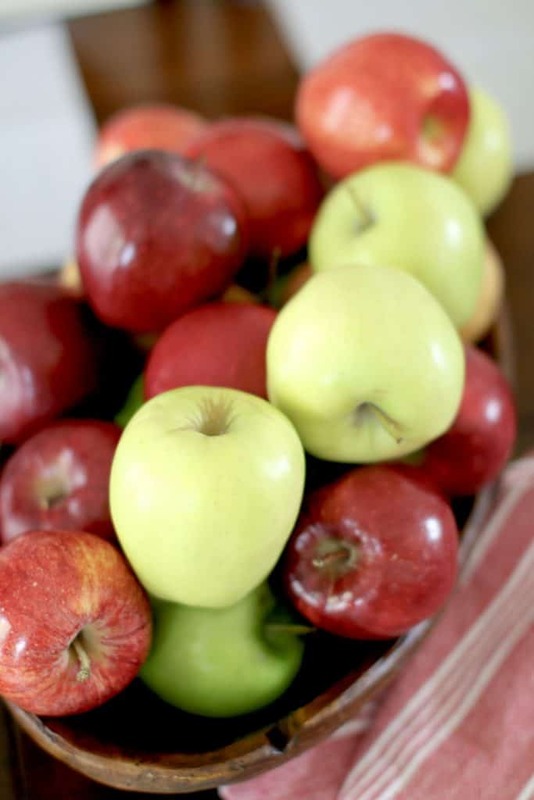 Plus, we set aside some apples just to snack on while we worked. 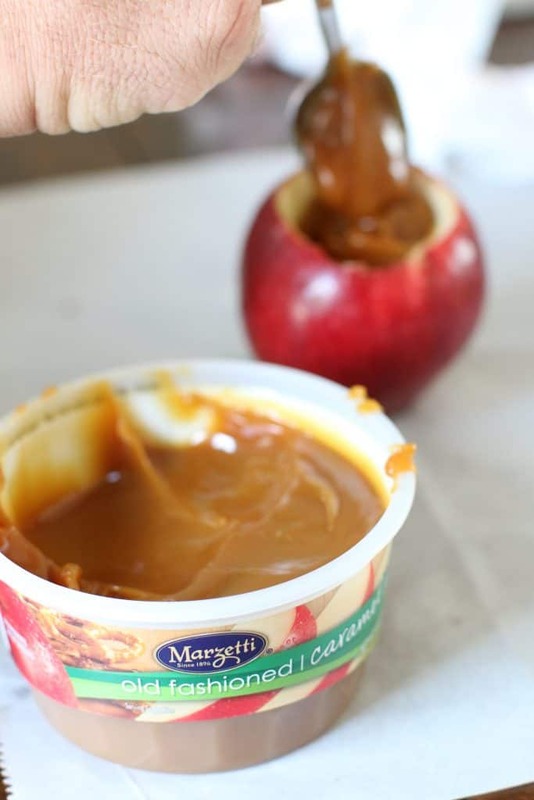 I think we snacked more than we carved since we had some Marzetti® Old Fashioned Caramel Dip on hand. I mean, it was made to go with apples. 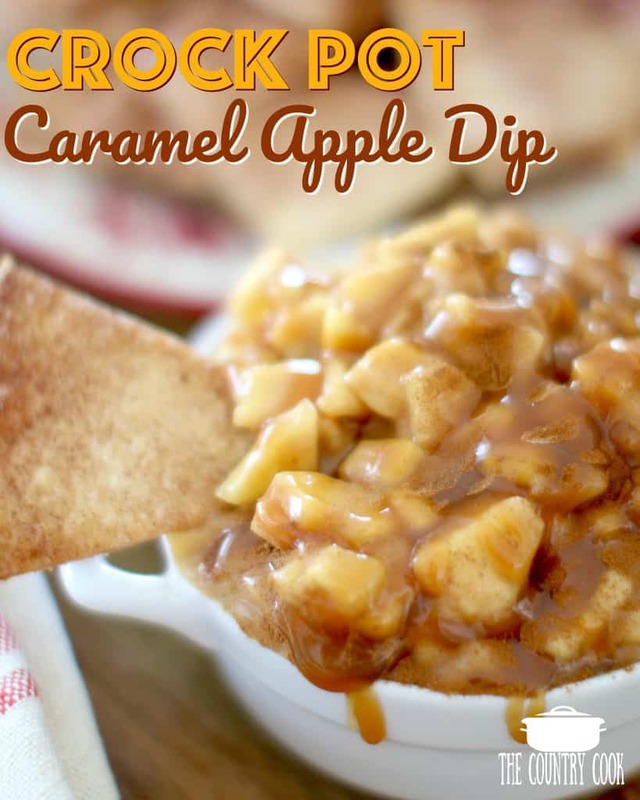 Thick, rich and creamy and a must-have at our fall fun! Turn up the music and start a new family tradition! Use any kind of apples or even pears! I grabbed a few different kinds: Red Delicious, Golden Delicious, Granny Smith, Gala and a couple different types of pears. 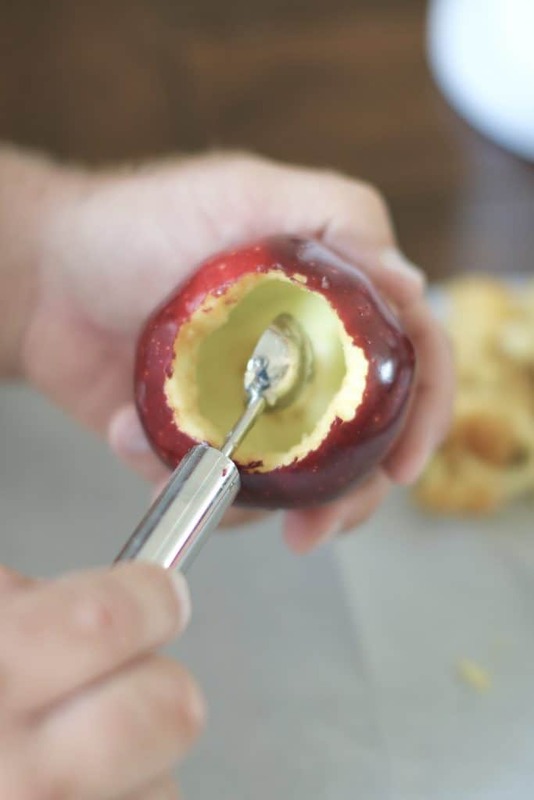 This isn’t absolutely necessary but it will keep the apples from turning too brown too quickly on you. And if you aren’t going to eat your apple creations, this will help them last for a couple of days. I just put about 2 tbsp. 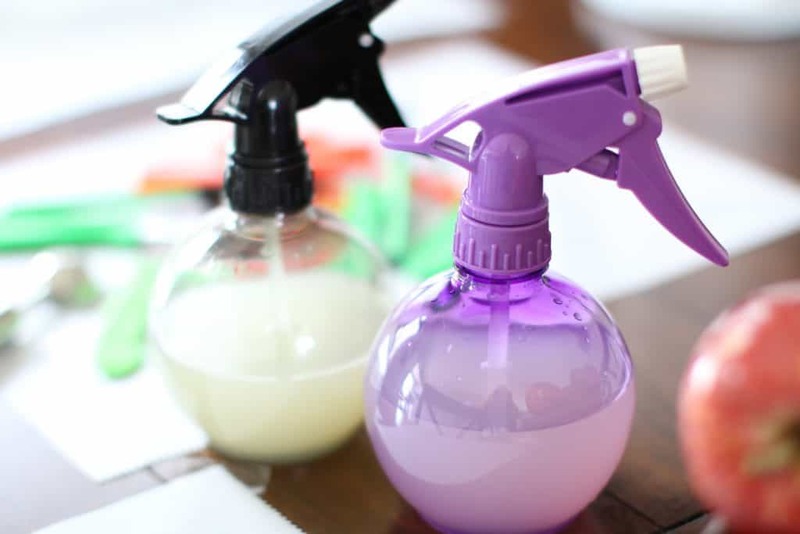 of lemon juice with a cup of water and mixed it up into each of these spray bottles. As you carve, keep spraying a little on as you go. My Mom was in town for the week so we had her join in on the fun. She absolutely loved it and kept saying “This is so relaxing!” She actually made a little fruit basket with her apple and a pear squid. So cute! Easy to set up and clean up! Melon ballers are used for so much more than melons! 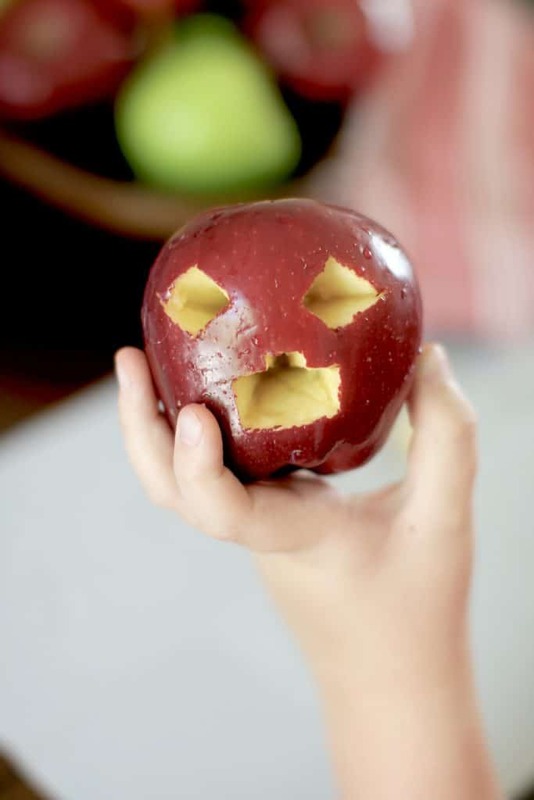 Gene decided to make a jack-o-lantern with his apple. He used a melon baller to scoop out the inside and it was crazy easy. He ate all the apple “guts” too. You can’t do that with pumpkins! 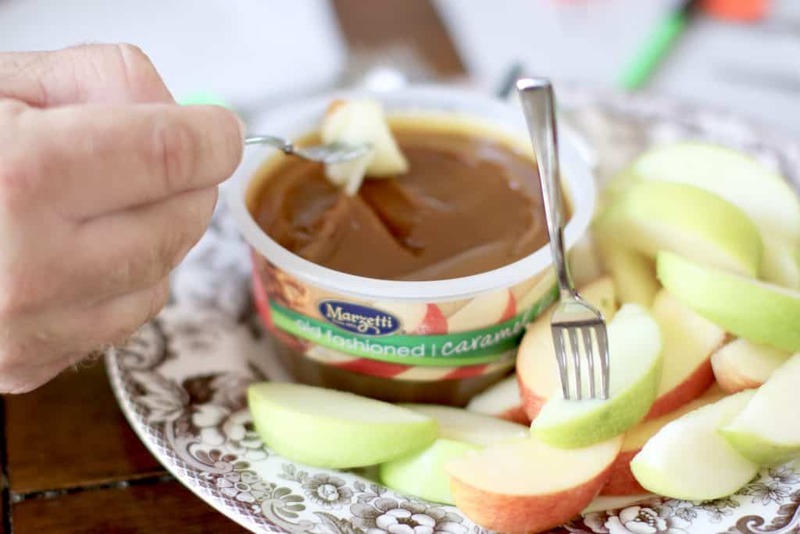 Dip those apple pieces into the Marzetti® Old Fashioned Caramel Dip and carve. Eat, dip and repeat! We wanted this one to stay around for a couple of days so we could put a tea light into it and let it glow like a pumpkin. 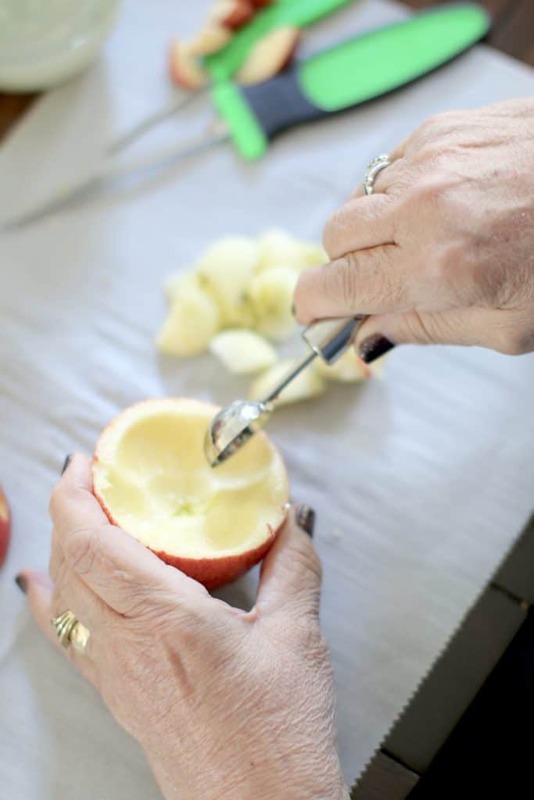 Gene squirted his apple often with lemon juice to keep it from browning. 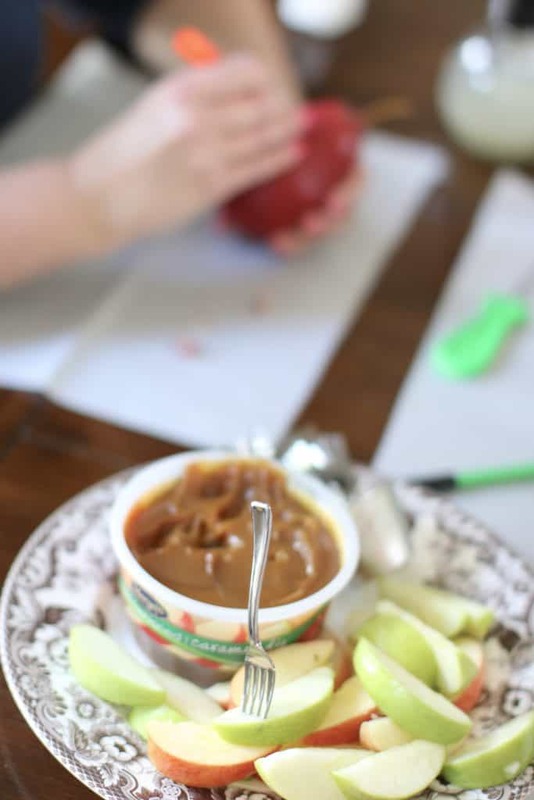 We even carved a few extra apples just to spread our Marzetti® Old Fashioned Caramel Dip into. I’m thinking these would be perfect for holiday parties. 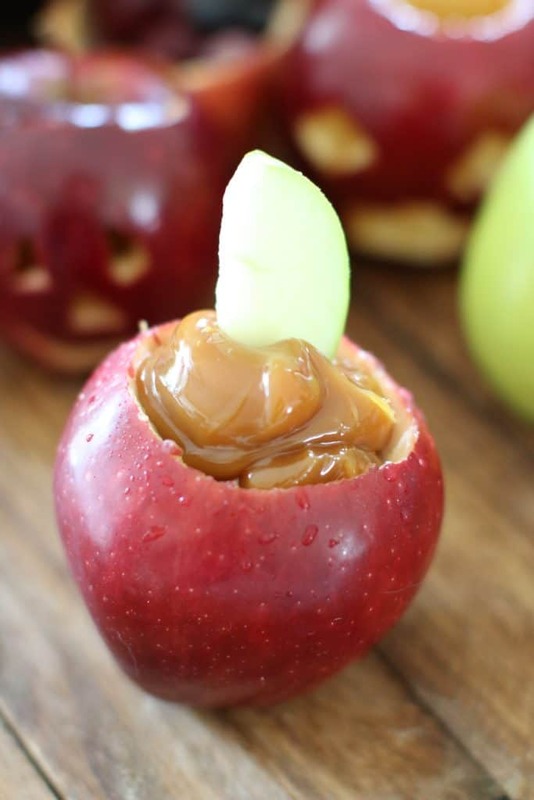 Isn’t caramel with apples purdy? 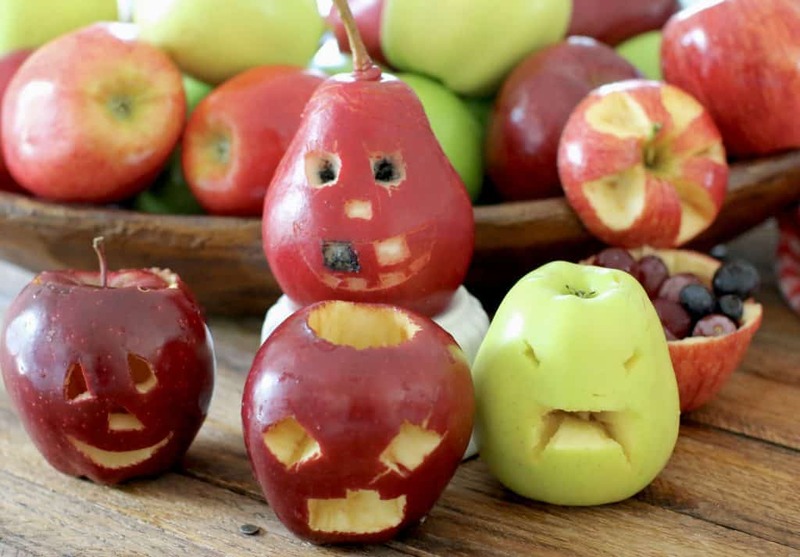 Apple carving really is such a fun family and friends activity. Invite folks over, turn on the music and have a great time. Definitely, baking. 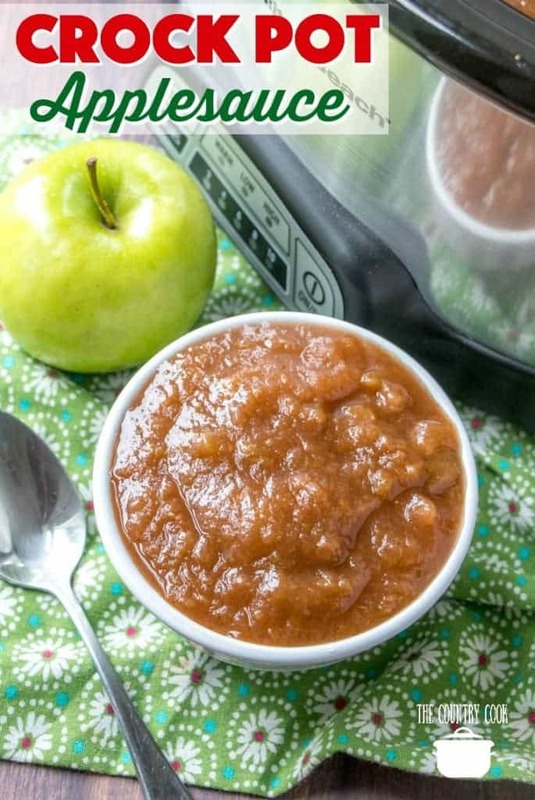 I love making caramel apples, pumpkin muffins, and butternut squash.